A bill to create a 16-member commission with subpoena power that would provide oversight for the United States Olympic Committee was introduced in the Senate this week. As the USOC attempts to right the ship with new leadership and internal investigations, the government is looking into their problems even further. 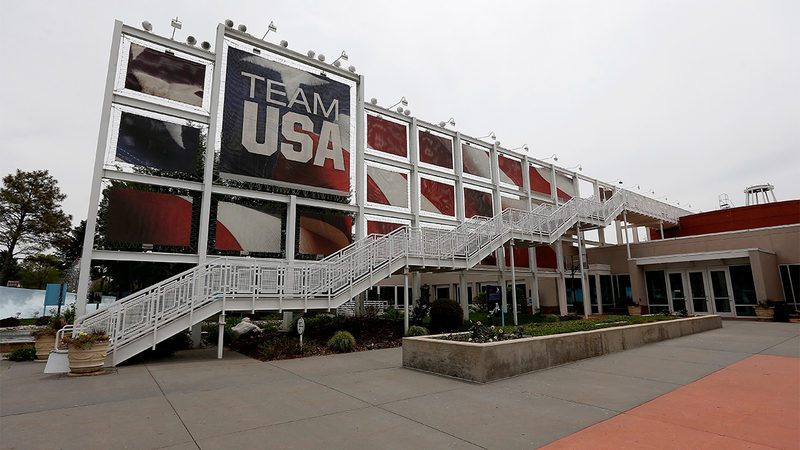 The panel, detailed in the “Strengthening U.S. Olympics Act” crafted by Sen. Cory Gardner (R-CO), would be tasked with redesigning the USOC, which is based in Colorado Springs. Its members would be selected by both Democrats and Republicans and “not fewer than 8 members appointed shall be Olympic or Paralympic athletes,” according to the bill. The proposed revisions of USOC oversight come at a time when the committee is under fire for its handling of the Larry Nassar scandal within USA Gymnastics and as several probes into the committee’s mismanagement progress. A December report from Boston-based law firm Ropes & Gray showed USOC CEO Scott Blackmun and chief of performance Alan Ashley knew about allegations of Nassar sexually abusing young athletes more than a year before those allegations became public. At the same time, the USOC commissioned a panel led by former WNBA president Lisa Borders to “examine whether athletes have enough say” in their leadership, according to the Colorado Springs Gazette. In the House of Representatives, U.S. Rep. Diana DeGette (D-Colo.) is leading a congressional oversight panel looking into the USOC’s recent past. The “commission on the state of U.S. Olympics and Paralympics,” which Gardner’s bill seeks to create, is specifically designed to be separate from politics. Eight athletes and eight other members would specifically check the extent of the USOC’s governance over America’s 48 national sports governing bodies as delineated by the Ted Stevens Amateur Sports Act. While the body would have subpoena power and be funded by the government, it would not include politicians and thus “take the politics out of looking into the USOC,” according to Gardner. The commission would owe Congress a bill within 270 days, according to the Orange County Register. A USA Today report on the House’s findings in December detailed a “a culture … that focuses on reputation and the USOC’s long-held lack of belief that it has authority” over the 48 national sports governing bodies. This belief and lack of organization led to an inability on the part of the USOC to properly protect athletes and manage its various parts, the findings showed. Since the Nassar scandal and the House’s investigation, the USOC has made several changes, many with women at the forefront. In addition to commissioning Borders to lead its internal investigation, the USOC hired Sarah Hirshland, former chief commercial officer for the United States Golf Association, to replace Blackmun. Susanne Lyons, an executive from the financial sector with experience in Olympic partnerships and who served as the acting CEO during Blackmun’s initial absence, took over as chair of the USOC board of directors in September. Should Gardner’s bill pass, the Senate majority leader, Senate minority leader, House minority leader and Speaker of the House would each select one member of the commission on the state of U.S. Olympics and Paralympics, despite Gardner’s position that the panel would be free of politics. The Senate majority leader and Speaker of the House would each select one co-chair as well, the bill states. Those co-chairs would agree upon an executive director to report to the the federal government as well as a staff to carry out research and correspondence.